Being rejected by password-protected PDF files? Don't fret. 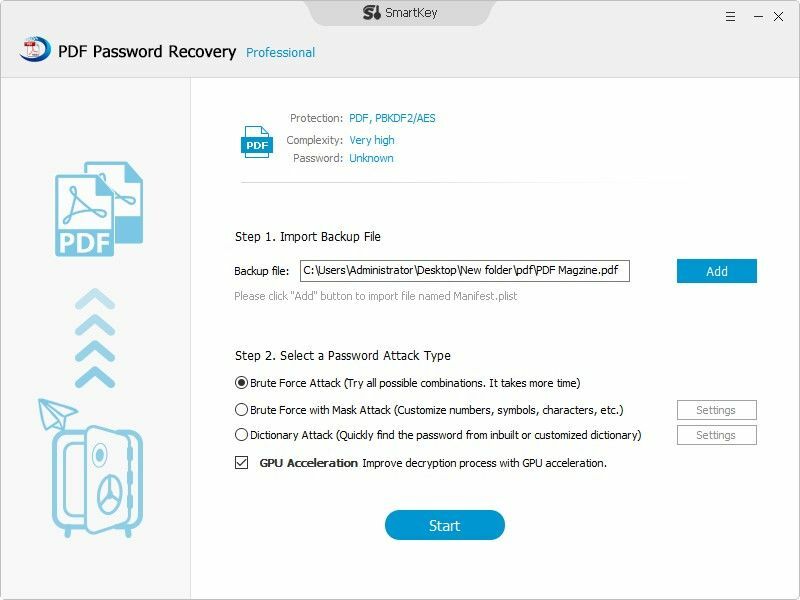 SmartKey PDF Password Recovery can instantly recover password locking PDF documents created with all versions of Adobe Acrobat (including the latest Acrobat 10.0) or any other PDF application. It not only decrypts PDF opening restriction by recovering user password, but also removes PDF copying, editing, and printing restrictions by recovering owner password. It's simple and fast. 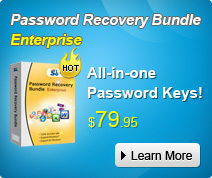 Smartkey PDF Password Remover can recover PDF user password and let you open decrypted PDF files. Instantly unlock restricted PDF documents by removing printing, editing and copying restrictions. Recover password-encrypted PDF generated by Adobe Acrobat and all the third-party. 3 attacking types satisfy the most demanding and savvy customers: Brute-force Attack, Brute-force with Mask Attack and Dictionary Attack. With a wizard-forward interface, only 3 simple steps can assure you to access any restricted PDF files. Adopt multi-core CPU processing and GPU acceleration technology to gain substantive improvement in recovery speed. Optionally save and import password recovery project to resume PDF password process after a sudden stop or a crash. Automatically shut down your computer after the PDF recovery completes. Support all the versions of Adobe Acrobat, including Acrobat X. Be able to recover or remove multilingual PDF password characters. Work well with Windows 10, 8.1, 8, 7, Vista, XP, 2000, 2003, 2008 etc. PDF Password Recovery rated 4.5 stars by CNET editors. It's so easy to unlock password-encrypted PDF files. Thumbs up! Sounds Good? Get " PDF Password Recovery " Now!